The St. Louis Cardinals lost four of six on their road trip to Boston, Pittsburgh and Williamsport. Three and four hitters Paul DeJong and Dexter Fowler lead the offense as the pitching struggles, averaging almost seven runs allowed per game this week. DeJong’s success leads to a look at team all-time rookie hitting records in our history feature. In the first of a two game series at Boston, the big inning doomed the Cardinals. Starter Mike Leake gave up a run in the first inning, but then held Boston scoreless for three innings. In the fifth inning, the wheels came off the bus. Facing eight batters, Leake gave up a double, four singles, a hit by pitch, and an intentional walk, leaving with four more runs on the board, and the bases loaded. Matt Bowman allowed three inherited runners to score, then surrendered a run of his own, but eventually got the final two outs in the inning. Brett Cecil pitched the sixth and allowed another run. John Brebbia and Sam Tuivailala tossed a scoreless seventh and eighth. The Cardinals scored three in the sixth and one in the eighth. Dexter Fowler plated two on a double and went 3-for-4 overall. Carson Kelly drove in the third run of the sixth on a single. In the eighth, Paul DeJong’s single plated the final Cardinal run. DeJong was 2-for-4. Luke Voit was 2-for-2 with two runs scored. Greg Garcia made a fielding error. The Red Sox took advantage of shaky pitching performances in the ninth to take the lead and win the game and series Starter Lance Lynn went six innings, giving up two runs, one earned, on seven hits. The right hander struck out three and walked three. Seung-Hwan Oh and Tyler Lyons pitched a scoreless seventh and eighth, respectively. Trevor Rosenthal started the ninth, gave up two runs without recording an out, and was replaced by Zach Duke. Duke got one out but surrendered another run. Duke was replaced by John Brebbia, who allowed the inherited runner to score and was charged with a blown save. Duke was the losing pitcher. The Cardinals scored all four of their runs in the second inning. Kolten Wong’s single plated Yadier Molina. Luke Voit then doubled to score Jedd Gyorko. Wong scored on a passed ball. Matt Carpenter plated Voit with a single. Wong was 3-for-4, Paul DeJong was 2-for-5. Lynn made an error on a throw. In the first of a four game series, the Cardinals offense got the better of the Pirates. Every starting position player had at least one hit. Dexter Fowler drove in three runs and was 2-for-3 with three runs scored. Kolten Wong and Randal Grichuk plated two and were 2-for-5. Jedd Gyorko hit a solo home run in the second inning and was 3-for-5 with two runs scored. Tommy Pham was 2-for-4 and hit a solo home run in the ninth inning. Paul DeJong and Yadier Molina both drove in a run. Starter Adam Wainwright pitched only three innings and gave up five runs on seven hits. Subsequent to this start Wainwright went on the DL with an elbow issue. Luke Weaver relieved and tossed two scoreless innings. Sam Tuivailala, Matt Bowman, and Tyler Lyons each added a scoreless inning. Seung-Hwan Oh pitched the ninth and gave up two runs. Tuivailala was the winning pitcher. Luke Weaver made an error on a pickoff attempt. A game that appeared to be a blowout win, ended in just a one run edge for the Cardinals. The offense was again prolific, as three home runs aided the scoring frenzy. Tommy Pham hit a first inning solo shot. Matt Carpenter blasted a three run shot in the second inning. Paul DeJong had a solo home run in the third. Pham also drove in a run on a ground out in the fourth. Greg Garcia singled in a run in the second inning. Carlos Martinez plated a run in the fourth inning on sac bunt. DeJong had an RBI single in the sixth, and Dexter Fowler added an RBI double in that inning. In the eighth, Jose Martinez singled home a run. DeJong was 3-for-5 with two RBI and two runs scored. Randal Grichuk was 2-for-4 with two runs scored. Greg Garcia was 2-for-5 with an RBI and two runs scored. Starting pitcher Carlos Martinez pitched seven innings, giving up three runs on six hits. The right hander fanned four and walked one. Mike Mayers started the eighth, and though he managed to get two outs, allowed five runs, four earned, on four hits. Brett Cecil got the final out of the inning. Matt Bowman started the ninth, surrendered another two runs, and left with one out. Zach Duke walked his only batter and was replaced by Seung-Hwan Oh, who got the final two outs to earn his 19th save. Martinez earned his 10th win. In the field, Jose Martinez made a fielding error. Randal Grichuk had an outfield assist. The Cardinals lost the third game of the series as a rally in the late innings fell short. Though the Cardinals scored first in the second inning, on a Kolten Wong single, the Pirates responded with five runs in the bottom frame to take the lead. The Cardinals didn’t score again until the eighth, when Paul DeJong’s two run home run tightened the Pirates lead. In the ninth, Jose Martinez’ solo home run made it a one run game, but the scoring ended there. Martinez was 2-for-4 with two runs scored. Randal Grichuk was also 2-for-4. Starter Michael Wacha may have been affected by a two hour rain delay, as he went four innings, giving up five runs on seven hits. The right hander struck out three and walked two. A new addition to the Cardinal bullpen, Josh Lucas, tossed two innings of relief and allowed one run on four hits. Brett Cecil and John Brebbia pitched a scoreless seventh and eighth, respectively. DeJong committed a throwing error. The fourth and final game of the series was played on Sunday night in Williamsport PA, a special event that coincided with the Little League World Series. The stadium is a minor league facility, home of the Williamsport Crosscutters, a Class A short season affiliate of the Philadelphia Phillies which plays in the NY Penn League. All 16 teams participating in the Little League World Series were spectators in the stands, along with their families. The Cardinals lost to split the four game series. Starter Mike Leake lost his 12th game of the season. Leake lasted only three innings, giving up six runs on eight hits. The right hander fanned three and walked none. Sam Tuivailala contributed three scoreless innings. Just as on Saturday, Brett Cecil and John Brebbia pitched a scoreless seventh and eighth, respectively. On the offensive side, Jedd Gyorko’s two run home run in the second put the Cardinals on the board. Kolten Wong drove in the third and final run in the sixth, on a line drive single. Yadier Molina was 3-for-4. Gyorko was 2-for-4 and Stephen Piscotty, recalled as the 26th player for the game, was 2-for-4. The Cardinals finished the week and the road trip 2-4. They fell from second place to third in the NL Central. The pitching, both starting and relief, has struggled, and injuries have played a part. Adam Wainwright and Trevor Rosenthal went on the 10 day DL this week with elbow injuries. Mike Leake continues to struggle. The bullpen has been inconsistent at times. Offense has been inconsistent as well. Defense and baserunning remain the same. With six weeks left in the season, the Cardinals need to find a way to put it all together. They remain in contention for both the division and the wild card, but playing at the current pace is not likely to get them either. The Cardinals are now 3.5 games back of the first place Cubs, and 1.5 games back of the second place Brewers. The record stands at 63-61. 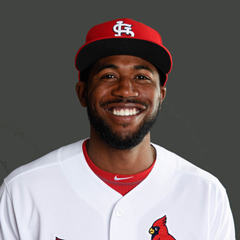 Dexter Fowler is batting .467 with an OPS of 1.289. He has 1 triple, 2 doubles, and 6 RBI. Paul DeJong is batting .440 with an OPS of 1.321. He has 3HRs, 1 double, and 7 RBI. Kolten Wong is batting .381 with an OPS of .952. He has 1 triple, 2 doubles, and 5 RBI. Tyler Lyons has an ERA of 0.00 and a WHIP of 1.00. Carlos Martinez has an ERA of 3.86 and a WHIP of 1.00. Lance Lynn has an ERA of 1.50 and a WHIP of 1.67. John Brebbia has an ERA of 2.70 and a WHIP of 0.90. Jedd Gyorko is batting .200 and has an OPS of .588. Matt Carpenter is batting .136 and has an OPS of .542. Yadier Molina is batting .235 and has an OPS of .588. Carson Kelly is batting .200 and has an OPS of .473. Mike Leake has an ERA of 16.62 and a WHIP of 2.54. Adam Wainwright has an ERA of 15.00 and a WHIP of 2.67. Michael Wacha has an ERA of 9.00 and a WHIP of 2.00. Matt Bowman has an ERA of 13.50 and a WHIP of 2.50. Zach Duke has an ERA of 27.00 and a WHIP of 6.00. The number 3 hitter has been Paul DeJong. The number 4 hitter has been Dexter Fowler for four games, Jose Martinez for one game, and Jedd Gyorko for one game. The number 5 hitter has been Yadier Molina for four games, Martinez for one game, and Randal Grichuk for one game. The number 6 hitter has been Gyorko for four games, and Kolten Wong for two games. The number 7 hitter has Wong for three games, Grichuk for two games, and Carson Kelly for one game. The number 8 hitter has been Greg Garcia for two games, Martinez for one game, Grichuk for one game, Kelly for one game, and Luke Voit for one game. 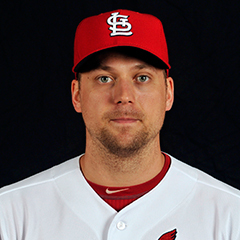 8/17 The Cardinals placed RHP Trevor Rosenthal on the 10 day disabled list. 8/17 The Cardinals recalled RHP Luke Weaver from the Memphis Redbirds. 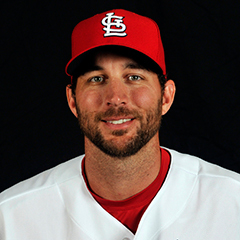 8/18 The Cardinals placed RHP Adam Wainwright on the 10 day disable list. 8/18 The Cardinals recalled RHP Mike Mayers from the Memphis Redbirds. 8/19 The Cardinals optioned RHP Mike Mayers to the Memphis Redbirds. 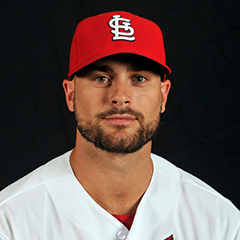 8/19 The Cardinals selected the contract of RHP Josh Lucas from the Memphis Redbirds. 8/20 The Cardinals recalled OF Stephen Piscotty from the Memphis Redbirds. RHP Adam Wainwright was placed on the 10 day DL with right elbow impingement. Wainwright had a platelet rich plasma injection in his elbow and is suspended from throwing for 10-14 days. A mid -September return for Wainwright is possible. RHP Trevor Rosenthal was placed on the 10 day DL with right posterior elbow irritation. Rosenthal is set to get a second opinion sometime this week, to determine the next course of action. That action could be surgery. LHP Kevin Siegrist (left forearm tendinitis) has been throwing bullpen sessions and is expected to return to the roster by later in August. The Cardinals have a travel day on Monday and return home to St. Louis to begin a three game series with the Padres. Lance Lynn is scheduled to make the Tuesday start. Luke Weaver will make the start on Wednesday, and Carlos Martinez pitches on Thursday. On Friday, the Tampa Bay Rays will come to Busch Stadium for a weekend series. No pitchers are yet announced, but will likely be Michael Wacha, Mike Leake and Lance Lynn. The Cardinals have another travel day a week from Monday as they head to Milwaukee for a two game set with the Brewers then to San Francisco for four game series beginning Thursday. After the Giants, the Cardinals travel to San Diego to play the Padres in a four game series. 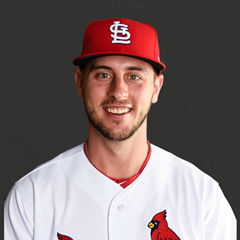 This week, rookie Paul DeJong hit his 20th home run since being called up in late May. DeJong has been something of a local celebrity that no one expected due to his performance since joining St. Louis. The 20 home runs are one short of the single season Cardinals record for a shortstop, held by the 2014 version of Jhonny Peralta, who had 21. It is quite likely DeJong will pass Peralta for that record. Aside from that record that DeJong may very well break, I thought to look at other Cardinals rookie records in the offensive category. The one Cardinal who stands out in terms of offensive records for rookies should surprise no one. 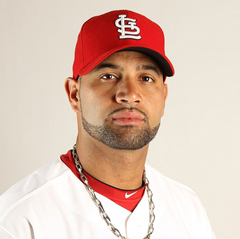 That is of course, Albert Pujols. In Pujols’ debut season of 2001, he set the following team rookie records: Runs (112), Hits (194, tied with 1899 Emmet Heidrick), Doubles (47), Home Runs (37), Extra Base Hits (88, also the NL rookie record), Total Bases (360, also the NL rookie record), and RBI (130, also the NL rookie record). Other Cardinals rookie records are held by Vince Coleman in 1985 for At Bats (636) and Stolen Bases (110, also the MLB rookie record). The aforementioned Emmet Heidrick (in 1899) has the Cardinal rookie record for Singles (157). The rookie record for Triples belongs to Tommy Long (25) in 1915. George Watkins holds St. Louis and MLB rookie records for Batting Average (.373) and Slugging (.621) in 1930. Former Cardinals manager Solly Hemus holds the team rookie record for Walks (75) in 1951. The Cardinal rookie record for Strikeouts belongs to Hector Cruz (119) in 1976. Joe Frazier, in 1954, holds the rookie record for Pinch Hits (20), and the record for Longest Hitting Streak is held by Joe McEwing (25), set in 1999. DeJong may never make that list, but he has definitely made Cardinals fans happy with his 2017 performance. Time will tell if his name someday appears among the likes of greats like Albert Pujols.